...: mustaches keep you warm this winter. 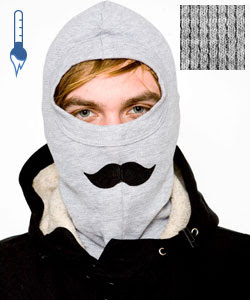 mustaches keep you warm this winter. They are pretty much everywhere, and on everyone (who can manage to grow one). For those not gifted in the facial-hair-realm of things, American Apparel seemingly has found a solution. 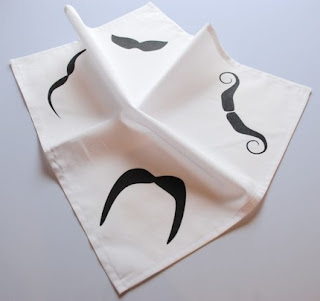 Voila, la 'major stache', (also available the 'minor stache') for those wanting to stay in tune with the trends while avoiding the dreaded mustach-icles. For those more doing the bandanna thing; you my friends have not been forgotten. Available from Etsy... the four in one. 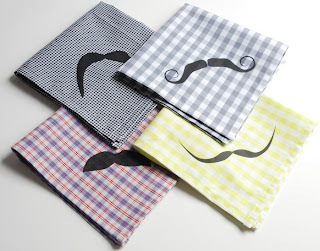 The prints are inspired by Salvador Dali, Tom Selleck, The Classic Handlebar, and some baseball player dude from the 80s.